DAMAULI, April 23: Six people have been injured when a passenger bus going towards Pokhara from Sunauli met with an accident at 2.0 am on the Prithvi highway in Tanahu today. The bus (Na 5 Kha 5330) veered and fell down five feet from the road at Sheratar of Shuklagandaki municipality-7. 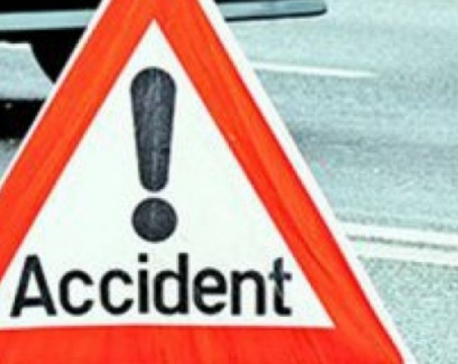 TANAHUN, April 23: Two persons died and four others were injured in two different accidents which occurred in Tanahun and Udayapur on Sunday and Monday. 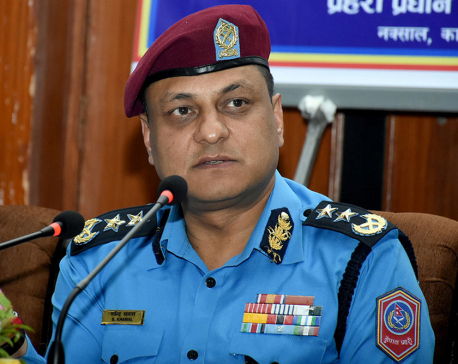 KATHMANDU, April 23: Inspector General of Police (IGP) Sarbendra Khanal on Monday said that the police have not been able to collect sufficient evidence so as to take action against Ram Bahadur Bomjan aka Buddha Boy who faces allegations of sexually harassing and disappearing some of his disciples. KATHMANDU, April 23: The Mid-Western Divisional Headquarters of Nepal Army (NA), in cooperation with the Social Development Ministry of Province 5, local governments and various social organizations, organized a five-day health camp starting from Wednesday in Majgawa village of Kothimai Rural Municipality in Rupandehi district. ROLPA, April 23: The auxiliary health workers (AHWs) of three wards of Madi Rural Municipality of Rolpa are handling the responsibility of ward secretaries due to the lack of sufficient workforce. RUPANDEHI, April 23: A Dalit family in Rupandehi district has returned the money offered by non-Dalit guests who came to their daughter's wedding but refused to participate in the feast. KATHMANDU, April 23: A dispute about the post of acting principal at New Baneshwor-based RR Secondary School has led to the manhandling of the acting principal . GORKHA, April 23: Haphazard excavation of resources on the banks of the Trishuli, Budi Gandaki, and Daraudi rivers is highly prevalent despite instructions from the local governments of Gorkha to bring such activities to a halt.